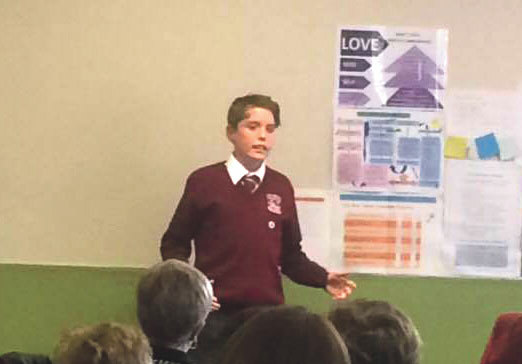 WelCom July 2017: Tim Donkin, a year 10 pupil from St John’s College, Hastings, took part in the Junior Prepared Speech section at the O’Shea Shield competition in Lower Hutt over the weekend of 13–14 May. 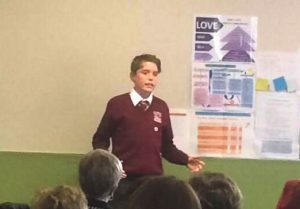 Tim’s speech was titled ‘Perseverance’, which is something Tim knows only too well as he suffers from the genetic, chronic and very challenging condition of Cystic Fibrosis. Tim’s delivery was clever and held the audience’s interest. Running through his speech, he used an analogy linking his incurable condition to a football match. Not only did Tim raise awareness of this demanding condition but the depths of his personality and humour shone through. Tim’s section was adjudicated by the Attorney General, Hon Chris Finlayson QC. In his summary, Minister Finlayson described Tim’s speech as not just another ‘woe is me story’ but as a speech filled with hope and gritty determination, told from a very human perspective, which highlighted Tim’s bravery while delivering an awareness of the condition of Cystic Fibrosis. Although Tim did not win his section, he was awarded a distinction. Afterwards Tim described his O’Shea Shield weekend as the best ever in his school life as he enjoyed socialising with the other students and watching the talent displayed in the different events. This article is from Cystic Fibrosis NZ, Hawke’s Bay Branch.